Unbeknown to the illustrious guests, our talented, charismatic and show-stopping three Tenors Incognito were behind the scenes, preparing themselves for the performance of their lives. Dressed up to the nines and undercover as waiting-staff, our ‘incognito’ tenors wait for their cue, one by one walking out into a sea of roundtables, all packed to the rafters with excitable women, deep in their inspiring and congratulatory conversations. For now, the Stars must play their parts and remain ‘unseen’ but before they know it, they’re on and it’s not long before their audience begins to notice that something quite unique and unexpected is about to happen. Everything quietens down and everyone turns their attention to the action. As our incognito ‘stripper’ is announced and welcomed to the stage, the silence soon fills with laughter and excitable mutters, quickly building to a rip-roaring cheer and applause. 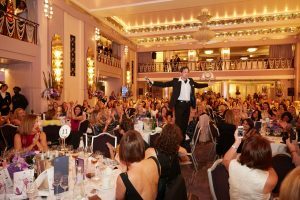 One garment at a time, our West End star struts his stuff around the stage, quickly leaping onto the floor below him, making his way through the enthusiastic and euphoric female crowds! Just before the infamous striptease move is revealed, a rehearsed altercation begins to unfold and the room begins to immediately quieten down a little, leaving every woman displaying shocked and confused expressions. Within seconds our two West End stars disguised as security guards, have the attention of the entire room. The scene has been set, the audience is theirs….it’s time to entertain with some sensational and spine-tingling vocals. It’s time to blow some minds and melt some hearts! 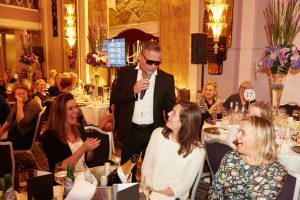 Celebrating successful, compassionate and deserving people is something we pride ourselves on both professionally within the events entertainment industry, but also as individuals and members of the Incognito Artists team. 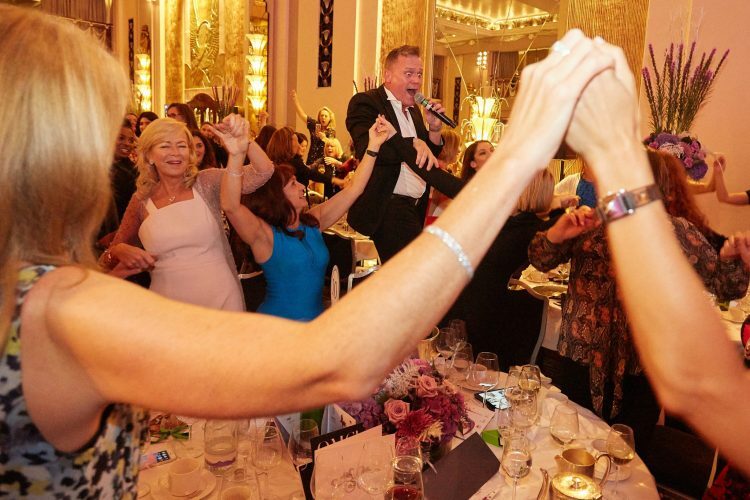 It was an absolute pleasure to treat, thrill, entertain and surprise every woman in the room that evening, with our unique and interactive event entertainment. We never forget these magical moments we help to create. This fabulous night may be over, but one thing’s for sure….these photos will never get old! If you would like to know more about Maggie’s Centre and the work that they do, please visit https://www.maggiescentres.org/about-maggies/our-story/who-was-maggie/.